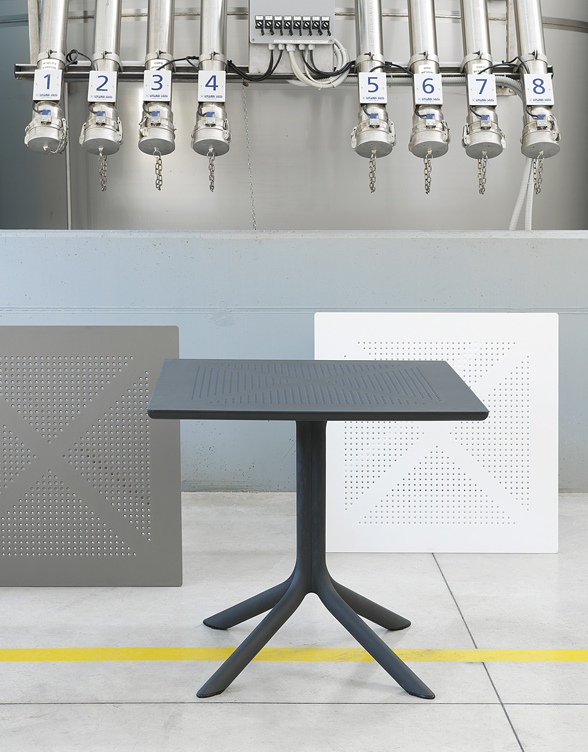 The Clip 80 exudes contemporary European character, with its clean & minimalist look and charming hole punch perforation pattern. 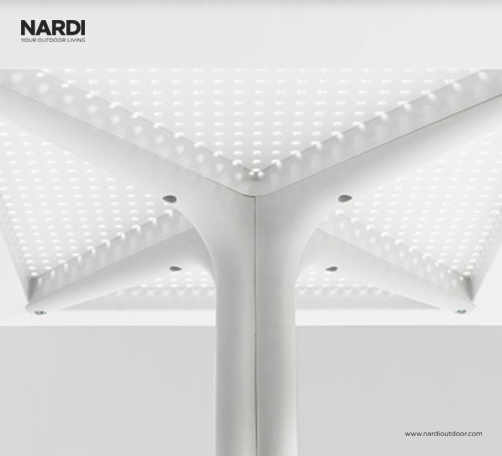 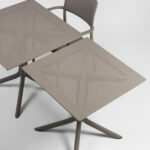 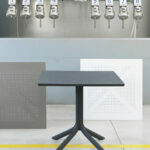 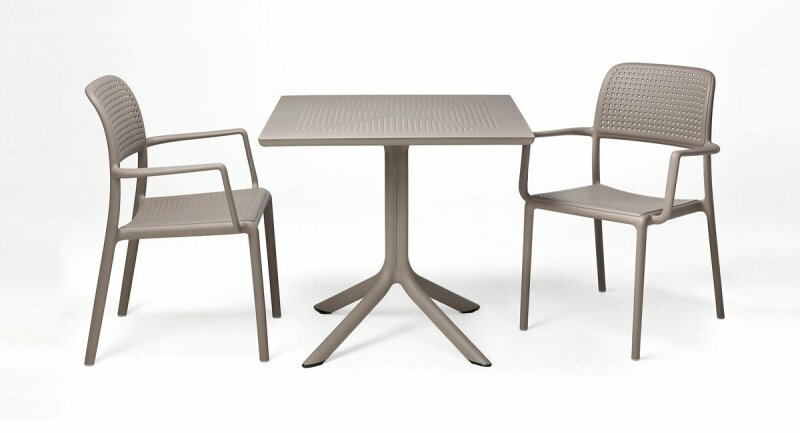 Manufactured & designed by NARDI of Italy with weather & UV resistant polypropylene & fiberglass resin. 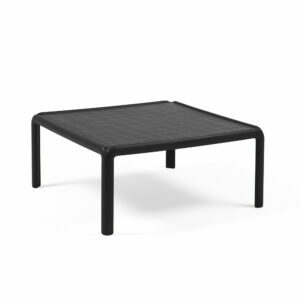 Its four-toe base has a healthy amount of steel which is fully encased in the poly-resin and gives it a bit of grounding. 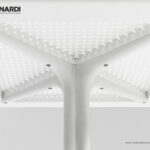 In addition to looking great, its perforated top encourages water runoff. 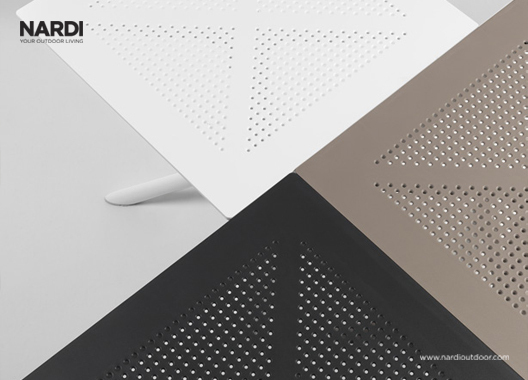 The Clip 80 is stocked in NZ with a colour range that includes Charcoal, White & Taupe. 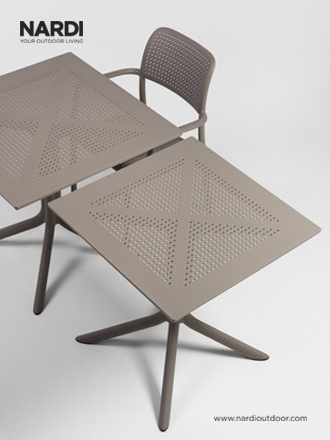 These are all quite flexible neutral colours that mesh well with an array of décor & colour schemes, with any luck one of these will fit into your place perfectly! 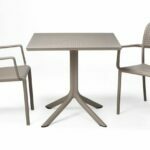 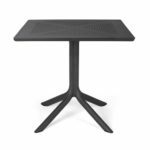 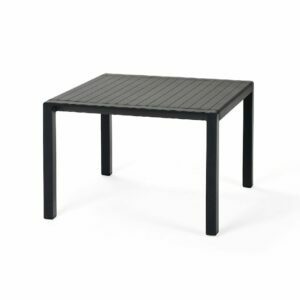 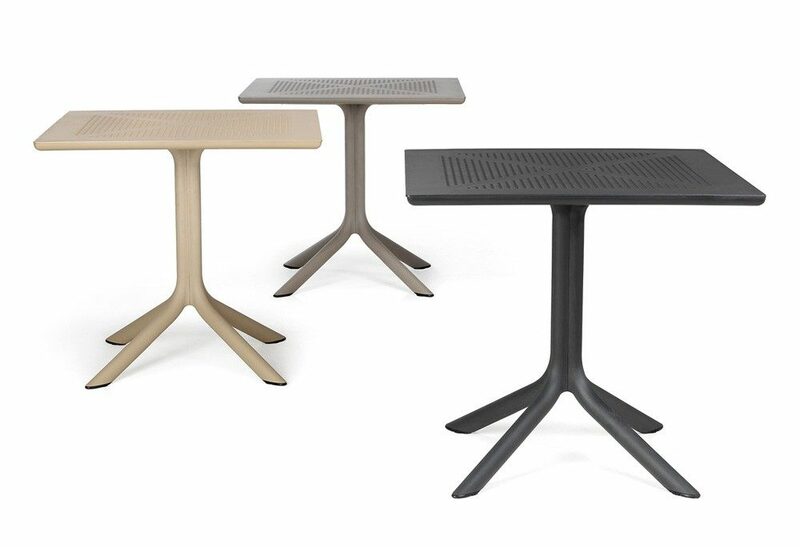 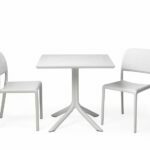 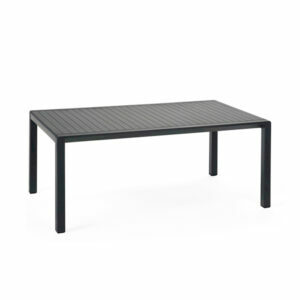 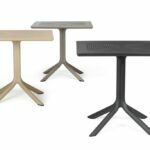 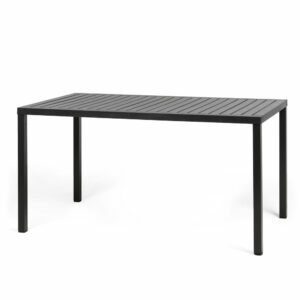 The Clip 80 features an 800mm X 800mm table top, which comfortably seats four & its central pedestal nature makes it perfect for compact patio areas. 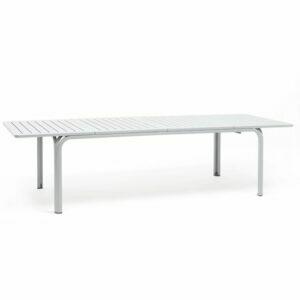 If you’ve measured up and still think this might be slightly on the larger size, you can consider its sister table, the Clip 70 – however, when serving four people with plates & cutlery the 700mm X 700mm table top can feel somewhat small. 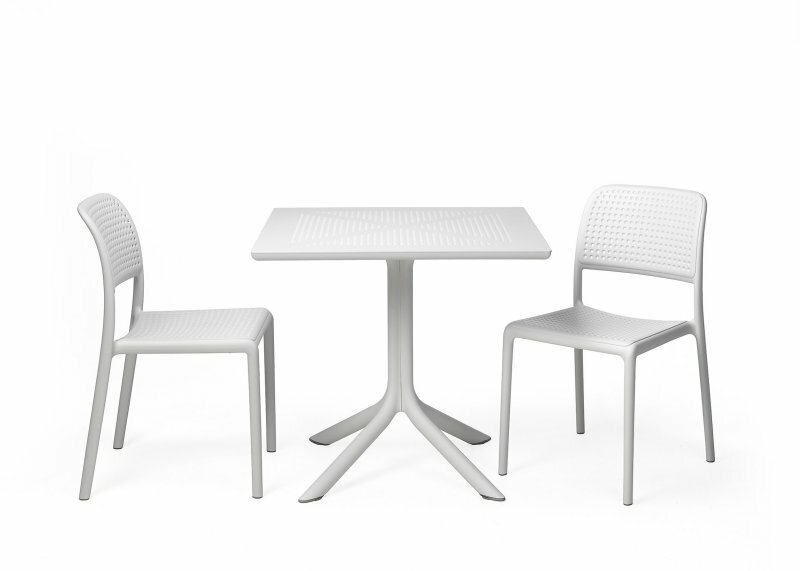 The Clip 80 is commercial grade, carrying a 2-year manufacturer backed commercial use warranty. 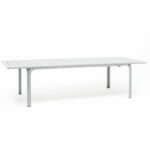 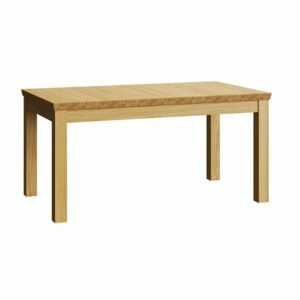 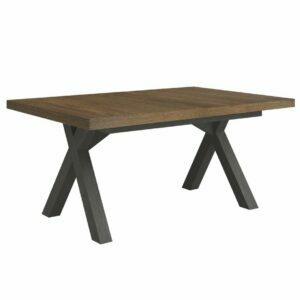 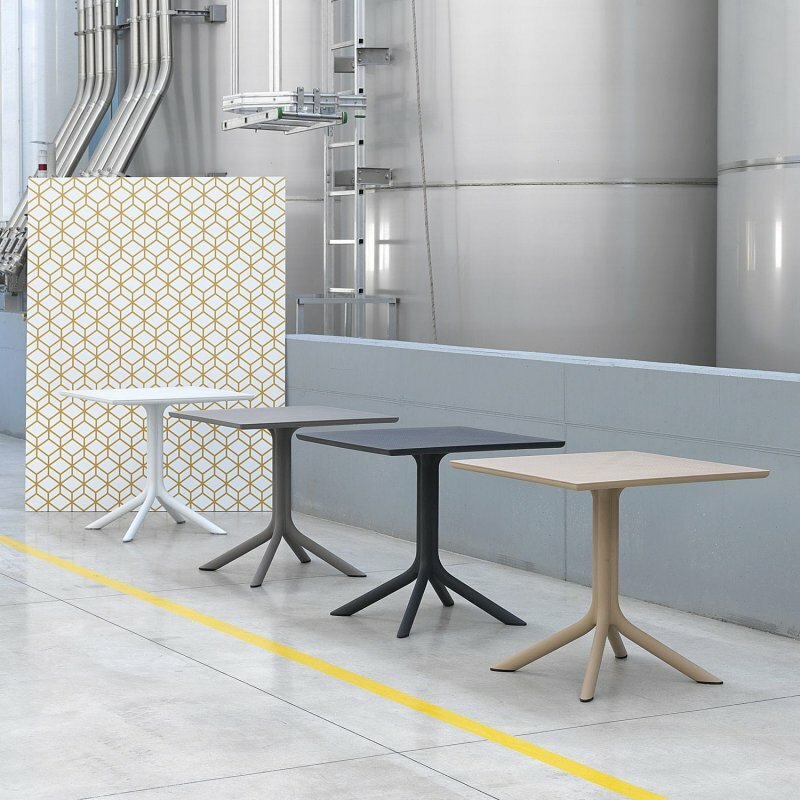 The table is suitable for commercial use in establishments such as restaurants, cafes, hotels & bars where they’re likely to have a hard life – this fact also generally provides quality conscious residential home shoppers with a bit of peace of mind.